Condo living like you’ve never experienced before—32 Sanson brings new meaning to urban development in Lahug, Cebu. Get all the convenience of living in the city, while still maintaining a sense of peace and serenity as you keep in touch with nature. Just beyond your doorstep is 3.2 hectares of land sprawling with greenery, masterfully planned and artfully landscaped. Housed within are our four residential towers and a wide variety of amenities and facilities that cater to every need and lifestyle. Find your new home in the Queen City of the South and feel the Cebuano’s warmth through our vibrant community. 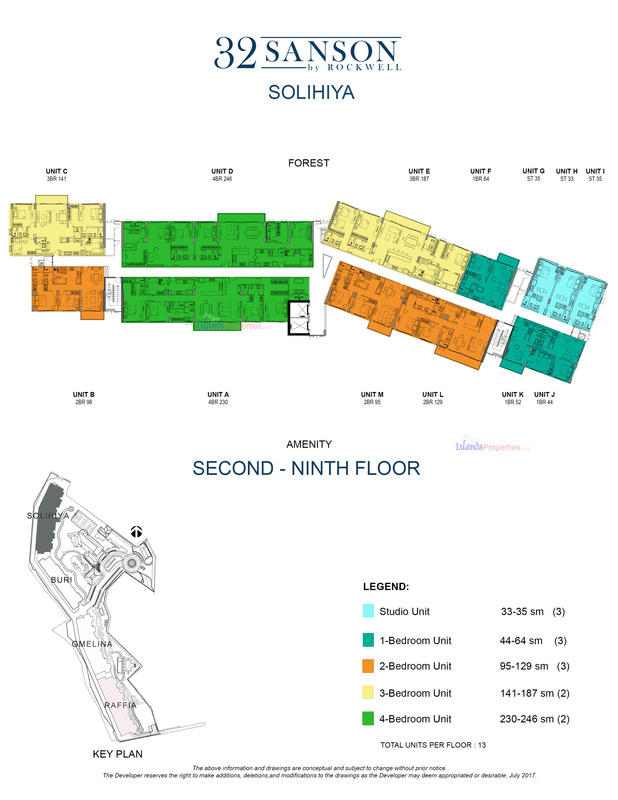 Check out our condo units for sale, and don’t hesitate to contact us if you see anything you like. 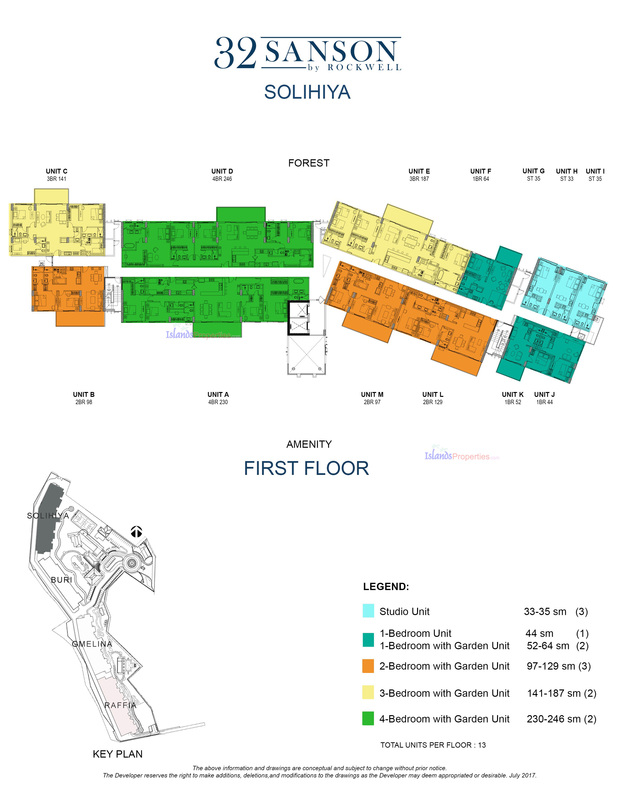 FLOOR AREA 33-160 sq. 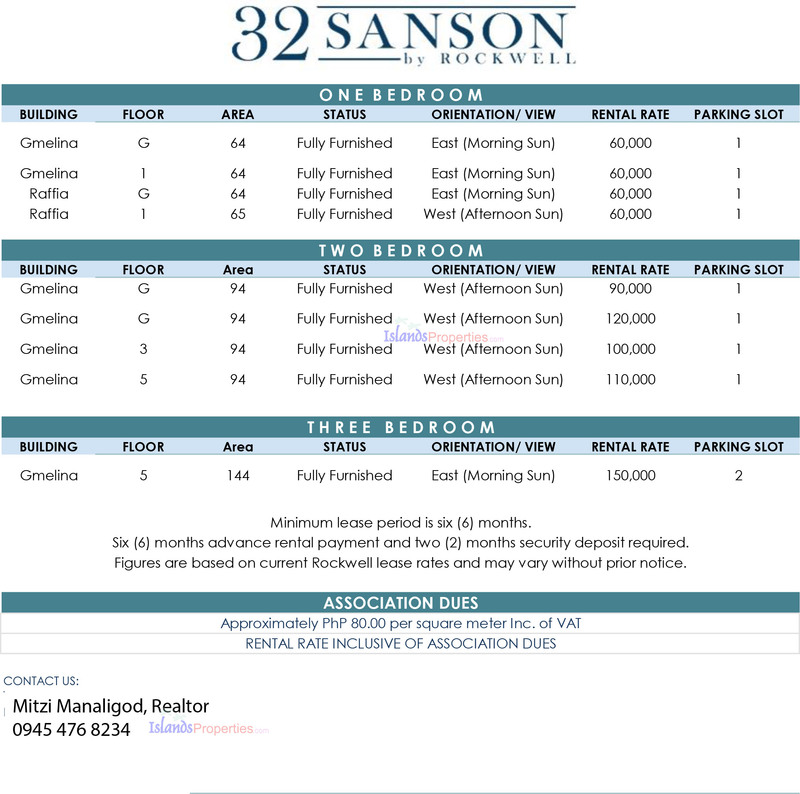 m.
AMENITIES 32 Sanson provides top-of-the-line amenities. Enjoy community activities at the clubhouse, sweat it out at the gym or have an invigorating jog through our subterranean roads. While being amidst the bustling city, 32 Sanson's exclusivity brings together an exceptional community thriving with life. OTHER INFORMATION Also available units for sale.